Seems so far like a good expansion. The Lost and the Factions works as good new inclusions. The chosen, the nemesis style enemies, have I only encountered once so far. They're a bit cheesy as characters, but could be fun. It was interesting to go from Massive Chalice to this. XCOM2 + expansion is naturally of higher production values, but MC feels very sleak and manageable in comparison, and XCOM2 really talks a lot to you, poking for you interest. There are many interuptions in MC as well, but it still feels like the latter let's you play more without taking you away to something else. That said, it's two great games, so as a fan of turnbased tactic/stratey titles, I'm very happy now. I played Slime Rancher. It's a really nice and relaxing game and I put a lot of hours into it, but the more you play it, the more you start to become conscious of the fact that it's basically just a really really really fancy clicker game. Once you unlock all upgrades there isn't really much left to do. I like that they kept updating it and adding more areas, but I found the late game areas they added to be too labyrinthine and frustrating to navigate. But on the whole it's a very pleasant game and relaxing game and I don't regret buying it at all. 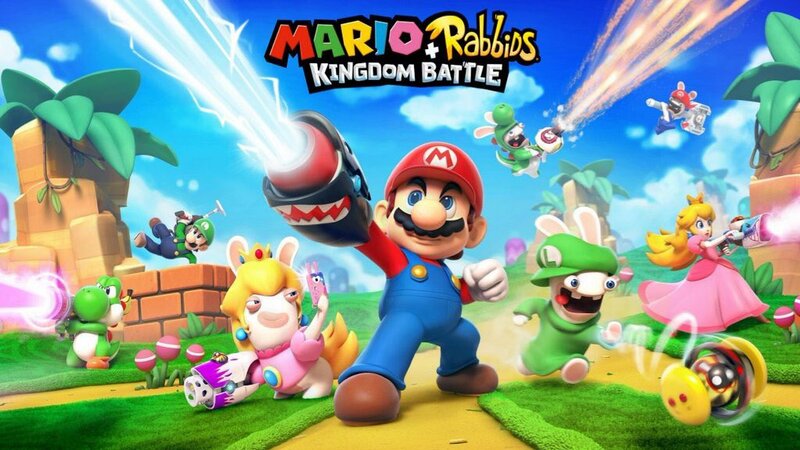 So Mario+Rabbids Kingdom Battle is pretty cool. First boss difficulty spike is too steep, but otherwise really enjoying it. It definitely has those X-COM mechanics of full cover and half cover and yadda yadda, but kingdom battle keeps it pretty simple cuz the chance to hit is always 0%, 50%, or 100%. Period. But also if you try to play the game like X-COM and be super cautious, hunkering down behind cover, creeping forward, etc, you'll get owned. Cuz kingdom battle focuses much more on movement, flyby attacks, using ally positions as nodes to chain together movement range extenders, using pipes to warp across the battlefield for a flank, etc. I mean, slidekicking an enemy as you run past them is a free action and has no penalty on your movement range, so if it's your turn, and an enemy is in range for a slidekick, and you DON'T use it, then wtf are you even doing? In other words, if you play too cautiously, enemies move like crazy and will just flank you for 100% chance to hit / 100% damage, so keep moving around like crazy to counteract the enemies' crazy movements. I also like that it allows you to freely change your loadout and party lineup between battles and/or at the start of every battle. There isn't really much to do there in the early game, but as you progress and unlock new weapons, new skills, and new party members with their own unique pros/cons, it's nice to be able to survey the battlefield and choose which tools you'd like to deploy. The game really respects your time, and I like when a game does that. The only real complaint I have about it so far is the same complaint I had about Steamworld Heist, i.e. when you move a character on the battle map, there is no way to cancel it, so if you make a mistake while moving and accidentally click on the wrong space, you just have to live with it. I landed the coolest combo in mario+rabbids over lunch. I had already moved both mario and luigi and finished their turns by putting them on overwatch. Mario was near the enemy front line and luigi was hanging further back using a sniper rifle. Both of their guns had the bounce special effect with like a 30% chance to activate. Well, when it became the enemy's turn, the first enemy took one step toward mario while behind his cover, which put him in Mario's LOS with a 50% chance to hit. So Mario auto-fired at him for a successful hit AND successfully triggered the bounce effect, so the enemy took damage and popped into the air. Since he was airborne, he was no longer behind cover, which put him in Luigi's LOS, so Luigi auto-sniped him in mid-air from way across the field AND his bounce effect triggered, so the shot launched the enemy through the air, across the field, and out of bounds for an insta-kill! Mario served it up and Luigi spiked it!!! That got a genuine maniacal laugh out of me. Just got done with uncharted 4 and the lost legacy. Both really fun games. This pyrites flag is a monkey. - Oh, the XCOM2 expansion is coming out that soon? Well I don't need to buy it immediately, I have other games to play, and I'm back from the vacation on the day it releases, so I have other stuff to do. - Ok, I bought it immediately, because why not? It can sit there for a while, and I have continued to support Firaxis. Good for me! - Well, I have to test it, at least, right? Just play a few mission to get a bit of the good old XCOM2 feeling. - That first new expansion mission seems neat, let's finish that at least, and let's play around with the soldier customization tool a bit as well. - Why I play XCOM2 for an hour everytime I sit down at the computer? Because shut up, that's why! So the expansion is good? Or is it just the regular xcom addiction kicking in? The best thing they added is the mission variety. There's just so many different things you get to do, and they tweaked the old mission types as well. And while I learned to live with, and like, the old mission timers, they have tweaked that alongside with the mission variety. So on the 10h I've played it so far, I have gotten two or thre missions where I had to reach the target in 7-8 turns, and neither of them was that difficult. Another great thing they added are different mechanics to make you rotate your roster of soldier between missions, with new types of fatigues, the option to send them on covert options you don't play yourself, and other stuff, so you're really pushed to add and level up many soldiers. They've added three factions, and at least two of them are pretty great and fits well into the story. The third one have I just encountered, so I cannot say that much about it yet. The chosen, the nemesis style opponents, adds some tension to the levels and works quite well. The lost worked better then I thought. I'm never a fan of zombie like enemies in games, but in this case, the explanation for their origing fitted quite well into the game, and they add good tension to the missions they are on. And there's new enemies, weapons, equipment, research, buildings, etc. The chosen just needs to chat up from time to time. For some reason, the geoscape seems to have a conference call system, where the chosen pops up way to often. They really need to get out dating or something, and stop calling me all the time. And while it was less so then they expected, they are quite cheesy and adds some cringe. People have said the there's too much stuff on the map, and while I don't agree with that, the popups for new events are that many that they distract the flow of the game. There's nothing wrong with many things happening, but the players should be notified about them a bit more discretly. XCOM really feels much more like an RPG then a strategy title now. Nothing wrong with that, I like they direction they have gone into, but it's interesting to have played 10h, and only have built three buildings so far, and yet doing a good job so far. The Avatar project that was quite stressful in the base game has been pushed quite far back, during these first 10h. It's both good that they altered the stress from it, but it has taken some nerve from the game as well. This board game like expansion style would be so great for the usual RPG's. Instead of just adding a few hours of gameplay in a new area, build on your games strength and expand the base game. The game can feel a bit too scripted during the 1-2h, but it moves away from that very quickly after that. I'm interested in the new mission types and mechanics, but I'm super skeptical of the rpg /story stuff. The less people talk in the new Xcom games, the better for me, and I didn't like the new characters in Xcom 2 particularly much. I will probably buy the expansion at some point, but I really hope that they didn't go all out with the chosen characters. Looked at my backlog and realized I never played my copy of Kingdom Hearts 2.5 HD Remix. 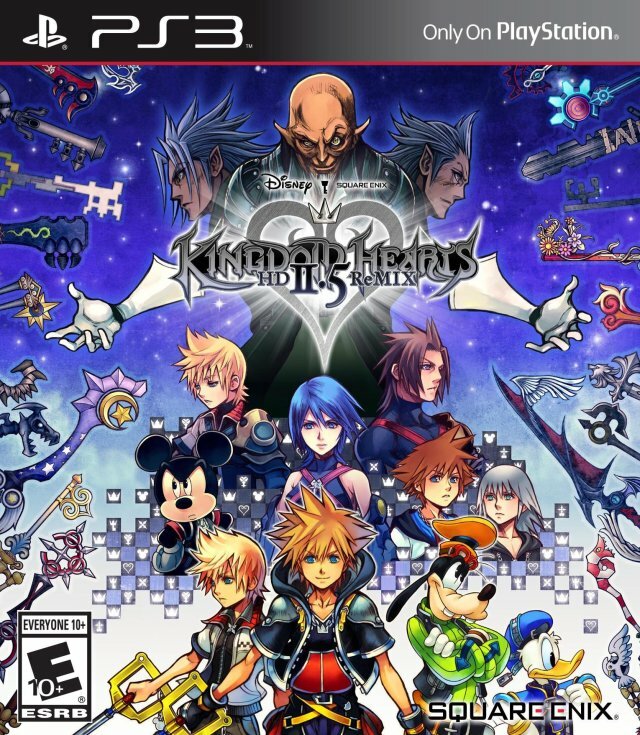 So back to the PS3 and started playing Kingdom Hearts II, especially in preparation for the upcoming KH3. So, I've been playing Sunless Sea. For any lovecraft/steampunk horror peeps out there, you should totally check this game out. It's based on the online game, Fallen London, and takes place in the same world, but larger and with powering around in a steamboat. Technically, it's a roguelike game, but there's a merciful mode option where you can just play it like an RPG (which I'm doing, because it's ludicrously easy to die in this game). Though, even as a roguelike, it's a nicer one, because if you get to a far enough point, it's assumed that future characters you play are heirs of your previous characters and you can leave them heirlooms to make the start of the game easier. Thought it felt a bit....bland at first. A bit slow, with levels that weren't that special. And then I played 4 levels in one sitting and wanted to keep going. I did start playing KH2:HD, but I keep coming back to Breath of the Wild to play on the side. My Switch says I've played it for 295+ hours, and I'm giving serious thought to starting a new (third) file with a different strategy this time. I just wish the game had more than one save file (per difficulty) so I could start a new one on the same Switch profile without deleting an old one. I don't really need multiple profiles on my Switch for just myself. The longer I play Breath of the Wild, the more I love it. I feel I need to go back and play WW and TP again before I can declare BOTW my favorite, but I can say this: it blows every other open-world game I've played out of the water. I might have felt satisfied with not needing to play Shadow of Mordor or Assassin's Creed anymore, having had my fill, but with this game there is guaranteed no need to ever remotely touch them ever again. So, I played Destiny 1 and all of the DLCs except for Rise of Iron, should I get Destiny 2? Frigging love Kingdom Hearts! Roxas is my favourite but yh can't wait till 3! 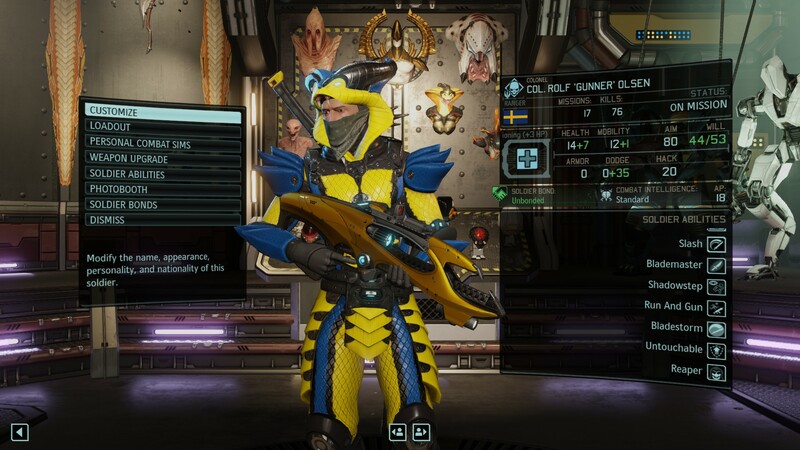 No proper XCOM squad is complete without a good old swedish snake ninja. I'm holding out on new games until Evil Within 2 and Wolfenstein. After that, probably COD. Mario dressing up as a cat and making cat sounds in Super Mario 3D World is really weirding me out. Despite som reservations about Divinity: Original Sin 2, I've continued to play it. I don't care for the combat at all, am now playing it on explorer difficulty, and there's some things I don't like it about that part of the game no matter what the difficulty is. But the story did pick up pace now, and the graphics are stunning, and compensates it's lack of orginality in the style, with a stunning attention to detail. Is anyone else here playing Cuphead? I was a little hesitant at first, since super-hard bullet-hell type games never really appealed to me. I'll admit, I've gotten frustrated on several occasions, but after (a lot) of practice, I finally got the hang of some of the tougher levels. And, of course, the beautiful visuals and music make the game a sheer delight. I just beat Divinity: Original Sin 2. It's great. I liked how there's a lot of options in ending based on character, actions, and even some choices at the end. Like, I though I knew what I was going to do when I walked into the boss fight and then after a few minutes conversation I didn't know anymore. Been playing Metroid II: Samus Returns. I really enjoyed the fan remake that lead to this(A remake that Nintendo let happen right until it was in it's final release state), but I must admit... This is good. It did a much better job of difficulty progression than the original(by nerfing an early mini-boss). When I got to it, I was a bit concerned as the game was a cake-walk at that point. It did get a bit harder and beating the game does unlock hard mode. The art design isn't friendly to classic 2D fans, but the gameplay is good. I was surprised. Samus Returns was freaking amazing. I think it's much better than AM2R and brings new elements to the formula (counter system, Aeion abilities). It's good to see Metroid evolve (pun intended). Also loved the final boss. Still trying to get a hold of the SE with the CD (too bad we don't get the amazing Legacy Edition that Europe has). Was? How long is it? Just bought A Hat In Time last night actually! I'll probably play it tomorrow. Looking forward to a new classic 3D platformer to play. A Hat in Time has an impressive amount of polish for a game of it's budget. The lengthy development time definitely did wonders. I downloaded and tried out Snake Pass last night. Verdict: It's definitely very interesting and very original, and I will definitely continue to play mostly out of novelty/curiosity, but a few things seem more unnecessarily frustrating or annoying than they really ought to be. The camera is a real antagonist in the game, often adjusting itself when the player doesn't want it to. The snake's head seems to move relative to the camera in the default control scheme, which makes this even more of a problem. The camera also has a knack for giving you a view of a wall. A smarter camera and/or the ability to lock the camera angle would help. Coiling yourself tightly around poles seems more frustrating than it needs to be simply because the "grip" ability (which causes the snake to tense up and coil tightly instead of coiling loose/limp) causes the snake to STOP completely, which is frustrating because in order to both coil tightly AND keep coiling forward, you essentially have to tap the grip button while also managing the careful tapping of the head raise/lower button. If you are using the default control scheme, you also have to manage the tapping of the "move forward" button as well. This is way too many buttons doing too many things simultaneously. If the "grip" button merely significantly slowed the snake while also gripping tightly, this would be much more satisfying and less frustrating. Finally, Doodle needs to shut up. I think we have finally met a flying "helper" friend who deserves more scorn than Navi. The fact that you have to listen to all of Doodle's lectures every time you replay a level to try and get coins you missed makes it even worse. (And there is no way to skip or speed through dialogue, which is even more torturous.) Doodle also likes to continuously give you level 1 tutorial tips when you are in world 5 and have the hang of it now. Really, it's like Navi times ten. BUT ALL OF THESE ANNOYANCES ASIDE, it is a very clever and original game. Controlling the snake is a unique and fun experience, and when you are able to successfully make the snake slither up a mess of bamboo poles to reach a high platform, it feels like an accomplishment. Furthermore, slithering out onto a mess of bamboo poles hanging over a gap feels tremendously dangerous and is terrifying and challenging to manage. I'm trying my best to enjoy the good things about Snake Pass while dealing with the annoyances, but if those things were addressed in a Snake Pass 2, I could see the game being something really truly special. Decided to give the first set of Age of Empires II HD campaigns a shot. So far, so good, but the new developers really messed up on the pathing. Sometimes telling a unit to go an inch on the screen makes them decide to attempt to prove the world is round by going the exact opposite direction. Still, it's very fun and new. I've basically got all the original campaigns memorized so all these new ones take me back to when I was a wee tyke trying to figure out how to not die.